Where to Shop in WSNC this Holiday Season …. Rebecca and Co.
As soon as Halloween was over I started seeing my favorite blogs post their shopping guides. Well… this blog is a little different being that a big focus is local. So I’m not going to have you click on something and buy it from elsewhere. Instead I’m going to focus on a local shop per day and encourage you to SHOP LOCAL. 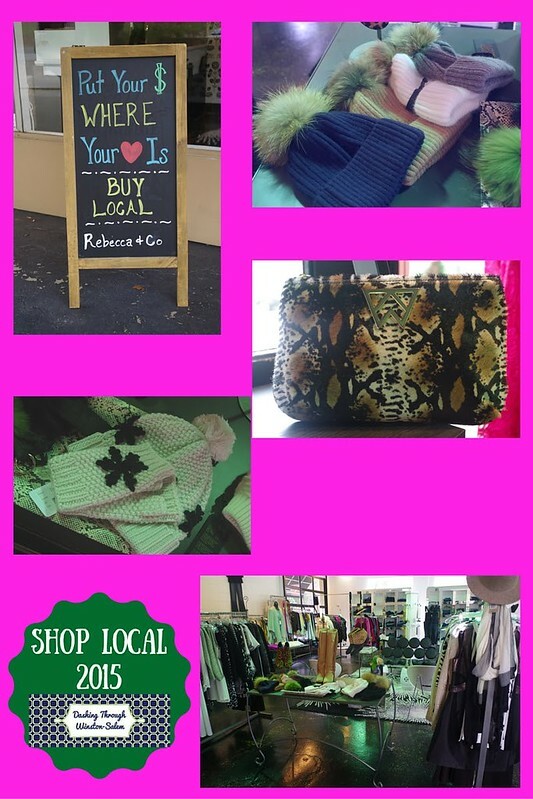 Rebecca & Co. is one of the best ladies clothing and accessories shop in town. I always love to see the very cool and stylish items that Lisa, the store owner, has selected. I saw so many items that the stylish gal in your life would love. I get cold easily and thought that the toboggans were adorable and I would love one under my the Christmas tree. Have you been by Rebecca and Co. yet? What was your favorite item they had? I’d love to hear. Rebecca and Co. yet it is super easy to get to. The shop is located at the corner of Robinhood and Reynolda.